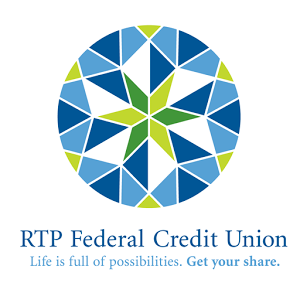 RTP Federal Credit Union was founded in 1968 by a group of federal employees in The Research Triangle Park. Today, over 300 businesses and associations in RTP and greater Triangle area are offering the benefits of RTP FCU membership. RTP FCU has grown to more than 13,000 members with four full-service branch locations and $100 million in assets. We are a not-for-profit financial cooperative governed by a member-elected board of directors. Profits are returned to members in the form of competitive dividend rates and lower loan rates. Service to our members remains our number one priority.